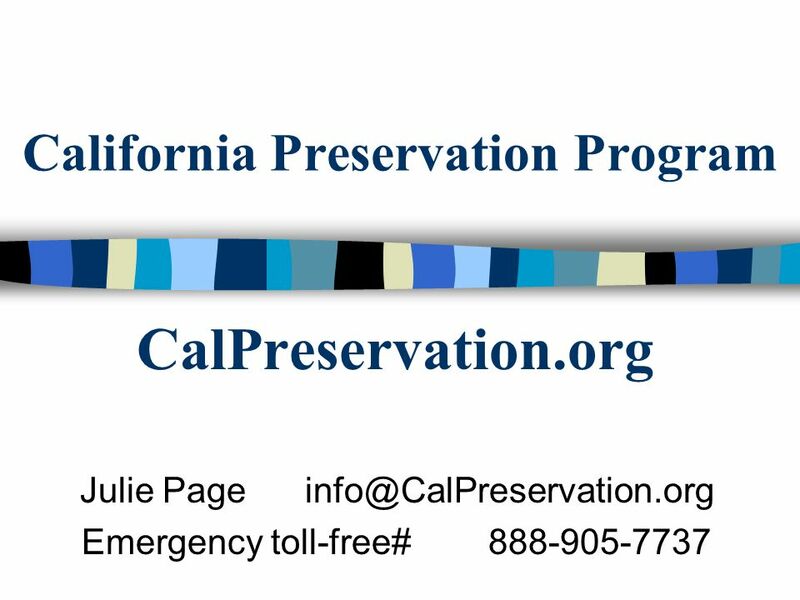 California Preservation Program CalPreservation.org Julie Page Emergency toll-free# 888-905-7737. 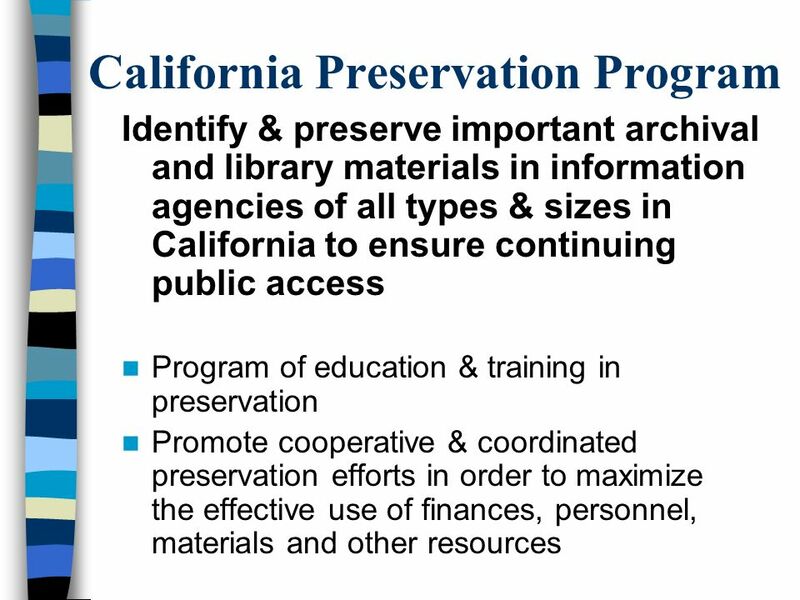 Download ppt "California Preservation Program CalPreservation.org Julie Page Emergency toll-free# 888-905-7737." OCLC Online Computer Library Center Creating Alliances With Emergency Responders: Part II -- Cooperative Disaster Planning Models. Children’s Programming Summer Reading 2012 Anna Hartman San Diego County Library Sarah Vantrease Los Angeles Public Library. “Utilities Helping Utilities”. What is SoonerWARN? FEMA’s mission is to support our citizens and first responders to ensure that as a nation we work together to build, sustain, and improve our capability. 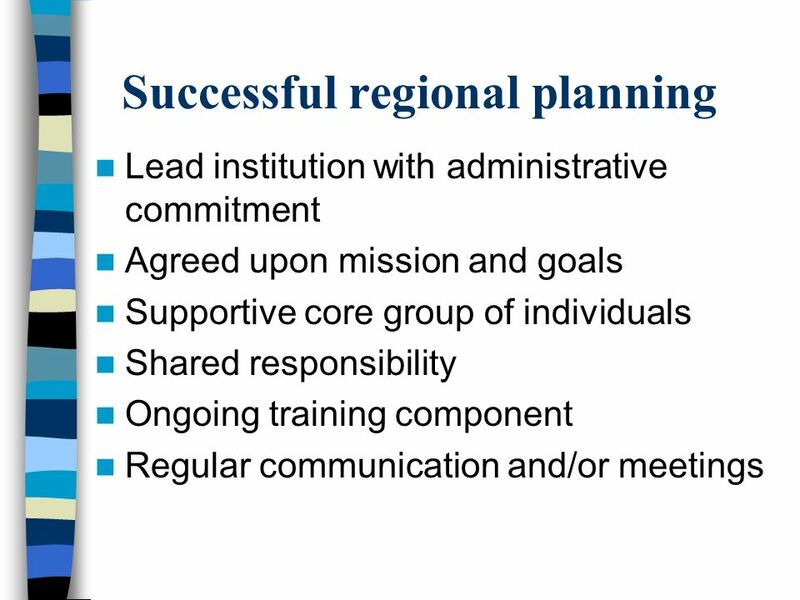 Building Disaster-Resilient Places STEP ONE – Forming a Collaborative Planning Team. Exploring Roles for Bookmobiles in Disaster Preparedness and Response Dan Wilson Coordinator, National Network of Libraries of Medicine Emergency Preparedness. Chatham County Hurricane Conference David W. Carmicheal Director, Georgia Division of Archives and History. Law Enforcement Mutual Aid Quick Reference Guide Mutual Aid Defined Authorities Mutual Aid Process Mutual Aid Considerations Mutual aid is the voluntary. United States Department of Health & Human Services Office of the Assistant Secretary for Preparedness and Response July 14, 2014 Esmeralda Pereira Office. 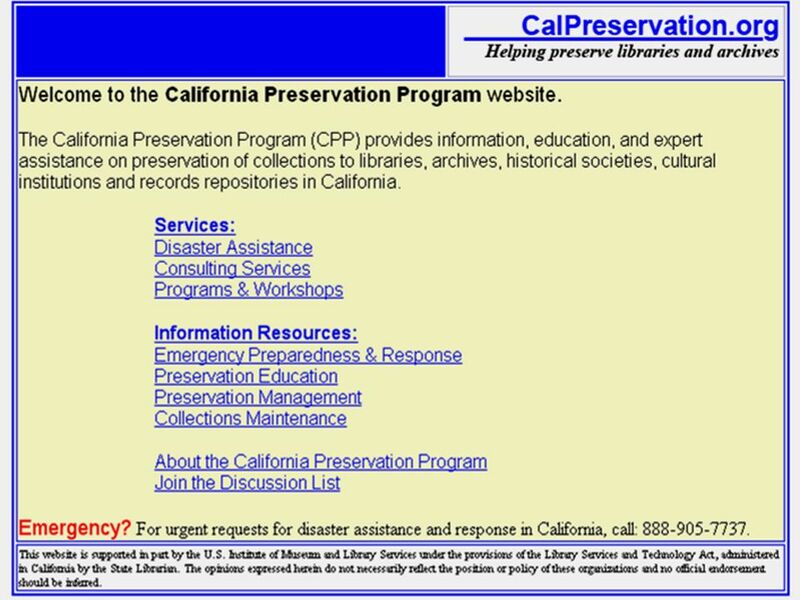 Regional Preservation Networks  Bay Area Preservation Network (BAPNet)  Inland Empire Libraries Disaster. Emergency Preparedness at Irvine Valley College Chief Will Glen Irvine Valley College P.D. 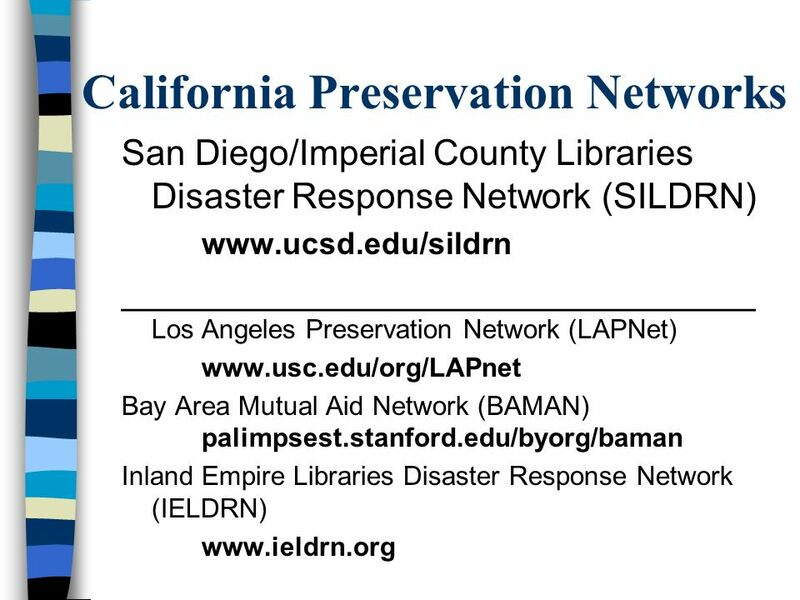 Leveraging Libraries and Librarians to Improve Disaster Readiness in our Nation’s Libraries and Our Communities Dan Wilson, Coordinator NN/LM Emergency. 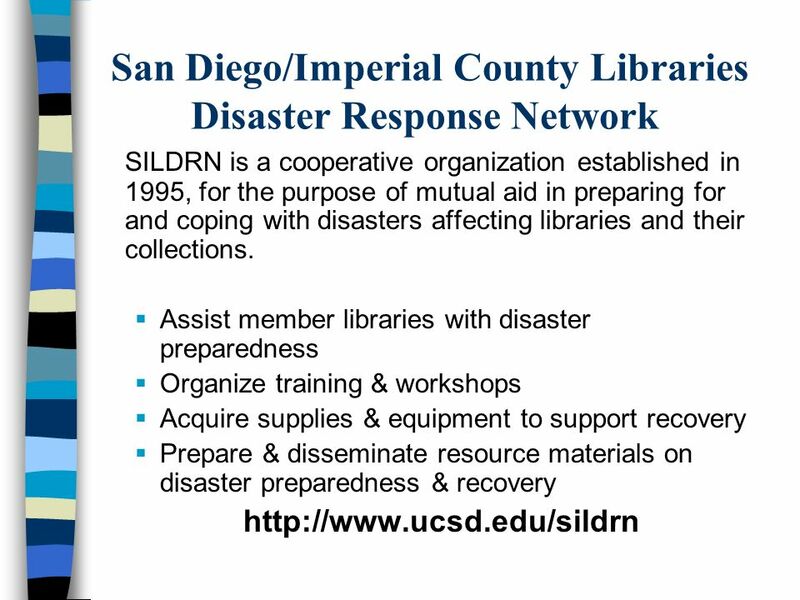 10-Step Approach to Disaster Readiness Dan Wilson Coordinator for the National Network of Libraries of Medicine (NN/LM) Emergency Preparedness & Response.